The Uttar Pradesh chief minister also said that the Congress-Samajwadi Party alliance will win an overwhelming majority in the assembly polls. 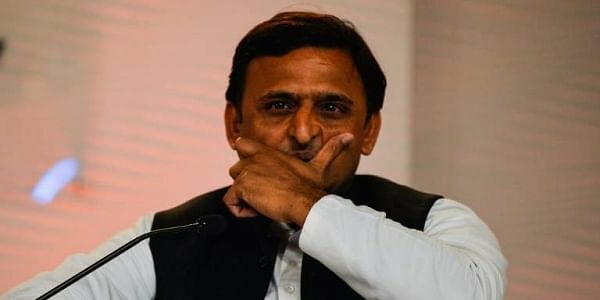 LUCKNOW: Uttar Pradesh Chief Minister Akhilesh Yadav today said he had no prime ministerial ambitions and was content with his job in the state. "I am content with my task in Uttar Pradesh and harbour no ambitions of becoming the Prime Minister of the country," he said at an event organised by a news channel here. "People who stay away from Delhi are happier," he said in a lighter vein. The chief minister said the Congress-SP alliance will win an overwhelming majority in the assembly polls and get more than 300 seats in the 403-member House. "If 50 per cent of people who have benefited from schemes of my government vote for us, we will get 300 seats," he said. Listing some of the schemes, he said: "55 lakh women are getting Samajwadi Pension, 18 lakh laptops were distributed, MBBS seats doubled since Independence, helpline services 108, 100, 109, Kanya Vidya Dhan Yojna...there are many more schemes that directly touch the poor." To a question on his overpowering clout over his father and former SP supremo Mulayam Singh Yadav, Akhilesh sought to allay all controversy surrounding it, saying the father-son relation existed in all its grace and nothing could change it. "Samajwadi Party still belongs to him. The 'cycle' belongs to him. The relationship is intact, father-son relationship can never change. It was necessary to distance ourselves from people who ultimately wanted to harm the Samajwadi Party," he said referring to the bitter infighting in the Yadav clan. "This is not an act of rebellion... Netaji (Mulayam) is above all of us in the party. The responsibility to take Samajwadi Party forward if now with the next generation," he said. Asked if Mulayam will campaign for the alliance, he said, "Our only aim is to retain power in the state. His (Netaji) blessings are with us. Netaji will be the most happy person if SP wins. I am sure, the SP's thumping victory will only increase Netaji's respect." "His (Netaji) photographs are in our campaign. Netaji is in our each slogan. Netaji told me that he will campaign for the alliance," he said. Quizzed as to why he removed Mulayam from party president post despite assurances that he will have final say in ticket distribution, Akhilesh said, "If I had got support of only 10 MLAs, I could have lost all respect." To a question on who was behind the family feud, the 43-year-old SP boss said, "(senior SP leader) Azam Khan sahab has clearly identified who created the rift in Samajwadi Party." "This is not my party, this party is of an ideology. People who were conspiring against me, had gotten me out of the party. Now it is the responsibility of our generation to take this movement forward," he said. Asked about BJP making "deteriorating law and order situation" in the state an election issue, he said, "People who are questioning law and order should tell how many sections (of the penal code) were slapped against them. Look at their national president and their state president. There were so many sections slapped against them." On joining hands with the Congress, he said, "If this friendship works, '27 saal UP Behaal' will become '27 saal UP Khushaal'." "This friendship will last long," Akhilesh said. The chief minister, however, refused to acknowledge that SP has revived Congress. "This can only be said after the results," he said, adding that even he wanted SP to go it alone but was forced into an alliance due to the prevailing conditions. "I initially wanted we (SP) should go alone, everything was ready but there were people who wanted to stop us. This was an initiative taken by both the Samajwadi Party and the Congress," he said of the new alliance. Lashing out at BJP for trying to gain political mileage over surgical strikes, he said, "This was not the first surgical strike, people from Army should tell us that it happened in the past as well."